Loay Hisham Nazer is a well-known business figure both in Saudi Arabia and the world. Besides being the founder of the Nazer group, he is also its chairman. Additionally, he is the chairman of Bupa Arabia, a Saudi owned health insurance in accordance with the requirements of the Council of Cooperative Health Insurance and the Saudi Arabian Monetary Agency. Bupa Arabia is a publicly listed company on the Saudi Arabia stock exchange. It operates within the GCC nations and the greater Middle East. Apart from being a chairman, Loay Hisham Nazer is also a lecturer. He lectures on globalization and Principled-Decision making throughout the region and the globe. Numerous world media sought his expertise, and quote him on issues related to Saudi Arabia. He has been interviewed on CNN’s Business Today and MSNBC Europe’s Gateway to the Middle East. Moreover, he was the main guest on a Saudi television program called “Bridges.” The hour long presentation focused on improving Saudi and Western relationship. I consider it privilege to discuss health insurance with a world renounce expert and a fellow UCLA graduate, Mr. Nazer. To establish a company, and to make it so successful to the point of becoming a household name, must require a trade secret. AW. 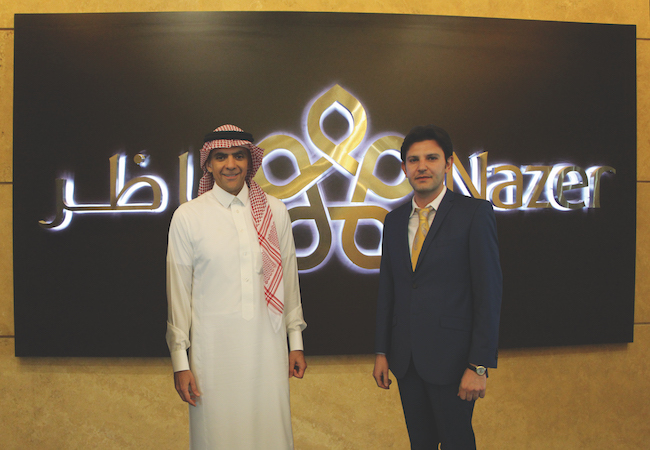 What has made Nazer’s brand worked, dominant, and a great success? LN. Focus! Focus on health care. Specialized by bringing in qualified experts. Collaborate with world-class organizations, who bring technology to a developing market and a commitment to customer service. Nazer brand always believe in exceeding customer satisfaction. It views itself as a leader in the market. AW. You are the chairman of Bupa Arabia, a publicly listed company, on the Saudi stock exchange, that specializes in health insurance. Bupa has initiated a collaborative endeavor with the Ministry of Social Affairs. It provides medical insurance to orphans in KSA. As the VP of the Ministry of Social Affairs, Dr. Abdullah Al Yusuf, stated, the ministry will do everything in its power to support the misfortunate and to help them overcome life’s challenges and hardship. Back in 2014, the Ministry of Social Affairs and Bupa aimed to offer assistance to 3000 orphans in Riyadh, Ha’il, Tabuk, Atawlah, and nearby village. Could you give us an update on such a commendable endeavor? LN. Bupa provides 100% of insurance coverage to orphans who live under the auspice of the Ministry of Labor and Social Affairs. As long as they reside in the ministry housing facility, they will receive full coverage until they get married, or leave the facility. The greatness of this program is that the orphans are entitled to the same benefits provided by private companies across the country. AW. Almost a decade ago, the Kingdom invested $13.86 bn in health services. This is approximately 11% of the total budget. 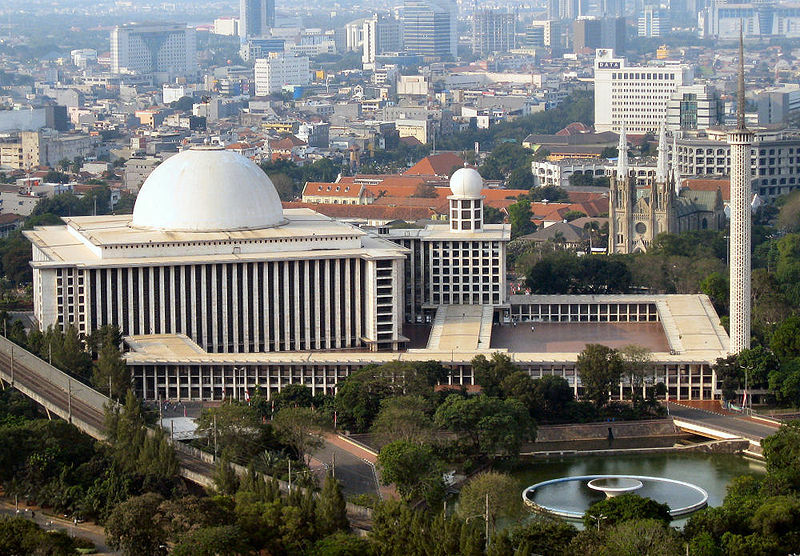 In 2010 it spent $16.58bn and in 2011, it spent $18.32bn. This amounted to 11.8% of the national budget. Can you reflect on, and give us an update of these numbers? LN. The Ministry of Health took a strategic view that the government should be the ultimate provider and operator of healthcare in Saudi Arabia. Today, this mindset is no longer effective and working. The Saudi government has changed its approach. They are planning to privatize hospitals and the healthcare networks. Ultimately, these entities will be listed on the stock exchange so that they will no longer be operated and managed by the government, but by corporations and the private sector. I believe this is the right approach. AW. During your interview with Oxford Business Group and others, you keep mentioning that there is need for an increased in investment, and that Saudi should allow foreign investors. Change normally brings both positive and negative effects. Can you tell us what are the positive and negative aspects of opening Saudi to the foreign investors? LN. I still think that change is very important. I also think that Saudi did a poor job in attracting foreign investors. It is not just inviting foreigners, but to also create a healthy environment for the domestic private sector to invest. Unfortunately, Saudi is still lags behind. The Vision 2030 is mostly about transformation from a public-led economy to a private-led economy. If this happens, it means we are moving in the right direction. AW. To many in the rest of the world, Saudi Arabia is seemingly close society. A quarter (25%) of the Saudi population is foreigner. How important is to build a diverse and inclusive work environment in Saudi Arabia, specifically in Jeddah? How can you ensure that Saudi culture can be maintained? LN. It is not only important in Jeddah, but across the entire country. I think that the Ministry of Labor has done a great job in providing opportunities for Saudi citizens and concentrating on Saudization. I am not a proponent of getting rid of all foreigners, and I do not think it’s a practical solution. However, I am all for increasing the percentage of Saudis in Saudi companies. AW. What do you look for when you hire people? LN. There are many characteristics that I look for when hiring people. However, the most important features are integrity, ambition, and passion. These traits are vital and important. AW. Today, it is not unusual for companies to prefer and hire younger workers. In many parts of the world, older workers experience ageism (age discrimination). What is your opinion? Do you think older workers are valuable to the work place? LN. It’s quite the opposite in the Middle East. In certain positions, companies seek only for older group of people. It is a matter of the function of the position and experience. I think, at the end of the day, what is important for me is the outcome. Regardless of age and gender, if the person can produce the outcome that the company is looking for. than I do not see any problem with age. AW. You are managing hundreds of employees, if I ask your employees what it’s like to work with, and for Mr. Nazer, what would they say? AW. Your father, Mr. Hisham Nazer, was the Saudi Arabia’s oil minister and the first Saudi board chairman of Aramco. Also, he was the Saudi ambassador to Egypt. You grew up in a successful family, and you were exposed to the world from a tender age. Did the experience inspire, or overwhelm you? LN. I was tremendously inspired. AW. Your family is known for its generosity, benevolence, and giving back the community. Were you, starting from childhood, instilled with the concept of welfare and caring for others? LN. Absolutely. I saw my parents, uncles, and aunts giving. The good deeds were instilled in me from a very young age. AW. Who were the role models who guided and mentored you? AW. What would you consider the characteristics and traits of a successful leader today? LN. Clear vision, integrity, and consistency in decision-making. AW. As someone, who is profoundly entrenched in multiple businesses, coupled with being a visionary and cutting-edge thinker, how do you enjoy the moment? LN. I enjoy very tough challenges. I like to achieve what seems to be the impossible. It’s all about teamwork, and making sure that the employees are motivated and focused on the outcome. Another important factor is that your team is incentivized towards the outcome and that everybody speaks the same language. My job is to set the targets and make sure that everybody in the organization is aligned towards that target. AW. What would you do differently in your life, if you could start over? Or, would you live it all over again exactly the same way? LN. I love what I do and I would not change anything. AW. What is your massage to the future leaders of Saudi? LN. I have no doubt that they will be successful. However, they need to have a passion, set goals, and know exactly what do they want to archive. Importantly, they need to do everything possible to achieve the goal.